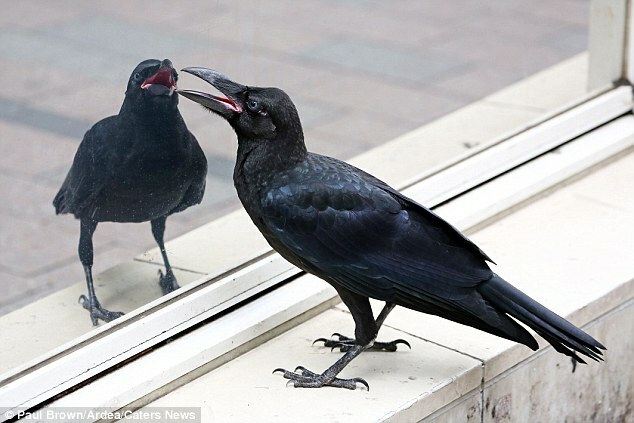 This crow clearly liked what he saw - spending fifteen minutes preening himself to perfection in a mirrored shop window. 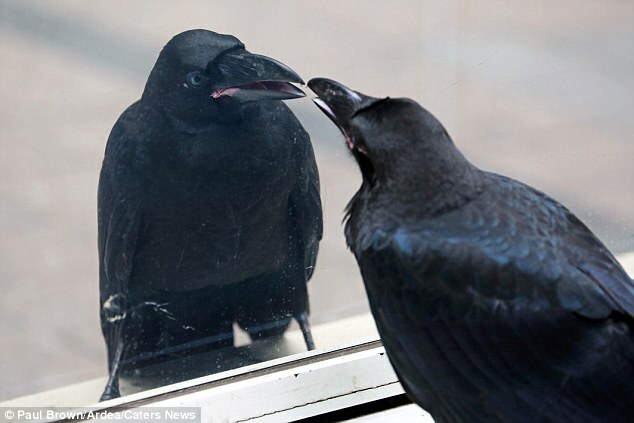 The self-obsessed bird was oblivious to the amused reactions of passers-by as it ensured there wasn't a feather out of place by grooming itself roadside in Shinjuku, Tokyo. The hilarious pictures were taken by London photographer Paul Brown while the 51-year-old was on holiday. 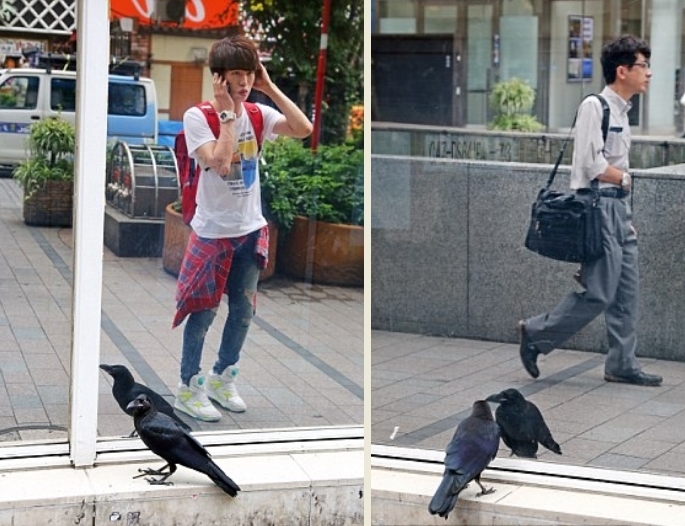 He said: 'The streets of Shinjuku in Tokyo were vibrant with the sights and sounds of the city. 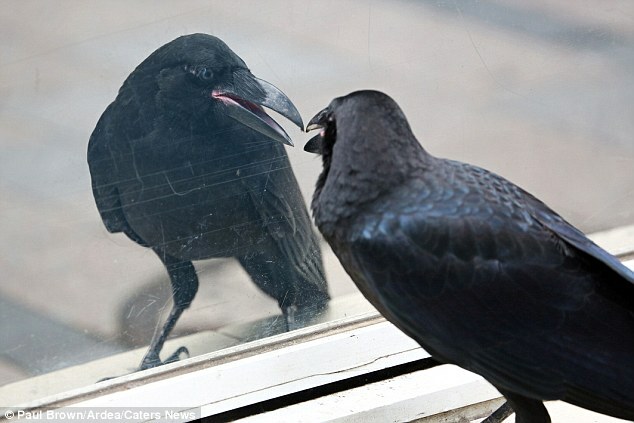 'It was the last place I expected to see a crow perched on a window ledge ignoring the people walking past barely a couple of feet away. 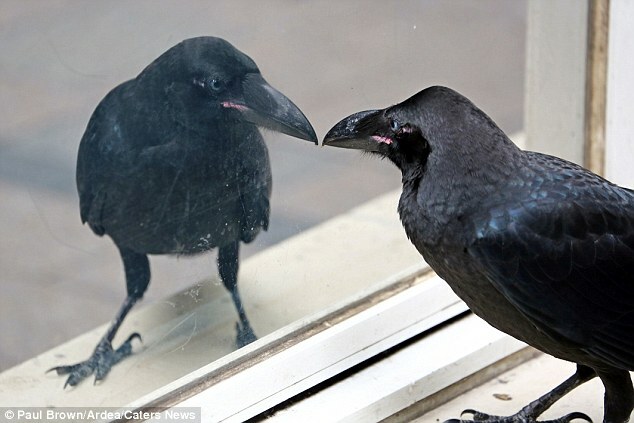 'However, this crow was apparently so vain and self-obsessed that it didn't care about people, it was more interested in its own reflection. 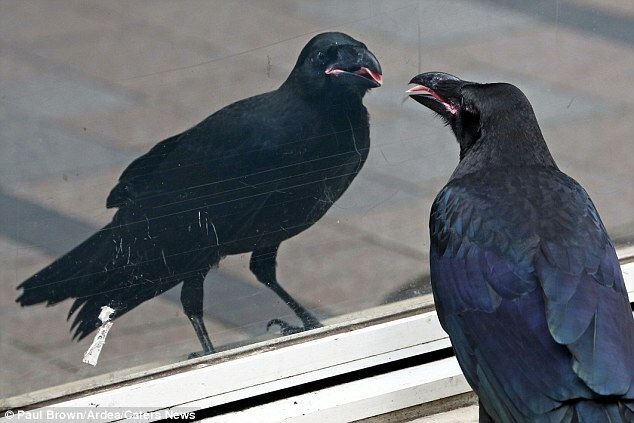 'The crow was lucky enough to discover a mirrored window on the side of a Family Mart shop round the corner from Shinjuku Station, and spent a good fifteen minutes admiring itself and talking to itself in the mirror. 'Amazingly, most passers by simply ignored the posturing bird, though a few did smile and point as they passed with the occasional one digging out their smart phones to grab a quick snap. 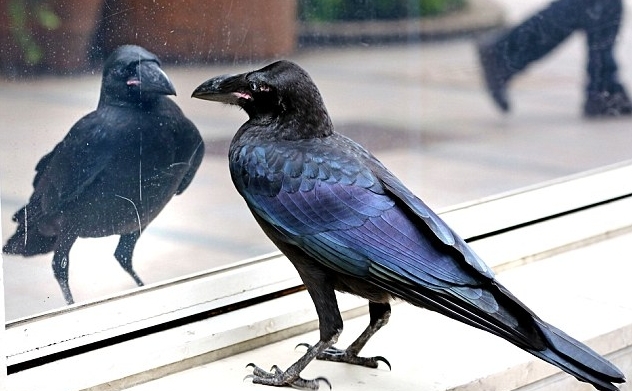 Responses to "Crow can't stop looking at its reflection in shop window"